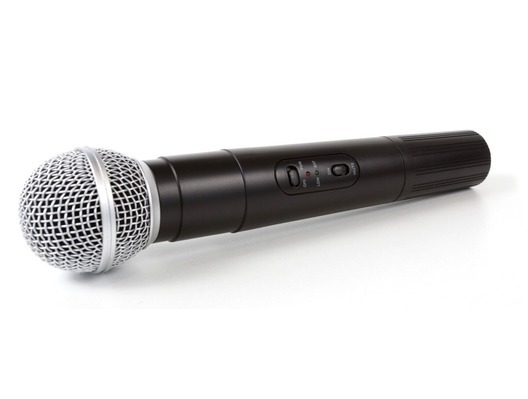 A replacement handheld microphone for the Q-Audio QWM 11 VHF Wireless Microphone System. Please note - this microphone requires a 9V battery (not included). Low battery indicator light - when lit you have approximately one hour left of useful operation. Ideally change the battery when lit.